Ian Jaffier Sr. left the podium after speaking his daughter, Dawnn, at the Light of Dawnn Awards and Scholarships Program in Allston. As Ian Jaffier looked around the West End House Boys and Girls Club in Allston Thursday morning, he saw a host of scholars, politicians, and community leaders. But for him, there was one person missing: his daughter, Dawnn Jaffier, who was tragically killed in Dorchester two years ago. The nearly 100 community members came together Thursday — three days before what would have been Dawn Jaffier’s 28th birthday — to honor her legacy and give out grants, scholarships, and “Light of Dawnn” awards in her name. Jaffier was shot and killed in gang crossfire by a stray bullet on the morning of August 23, 2014, just before she was going to participate in a parade to celebrate J’ouvert, a Caribbean street party. Prosecutors believe Wesson Colas raised his gun at rival gang member Keith Williams, who fired back four or five times, striking Jaffier, an innocent bystander. Both men were charged with murder and are awaiting trial. The third person, Jordan Reed, was charged with allegedly helping Williams hide the murder weapon. Three community leaders — all involved in service-based nonprofits throughout the city — received the Light of Dawnn awards Thursday, and three high school seniors received $5,000 each in the first-ever Light of Dawnn college scholarships. Latiana Appleberry, who provides support for girls who have been sexually exploited, Kendall Bruce, who helps victims of violence and their family in their recovery at Boston Medical Center, and Tim Bulla, who helped hundreds of people out of homelessness, all received Light of Dawnn Awards and $5,000 grants. Three local seniors who have experienced hardship and arepassionate about community service, Rachel Kalombo, Shaina Omoroghomwan, and Kerimal Guerrero, each received the $5,000 scholarship. 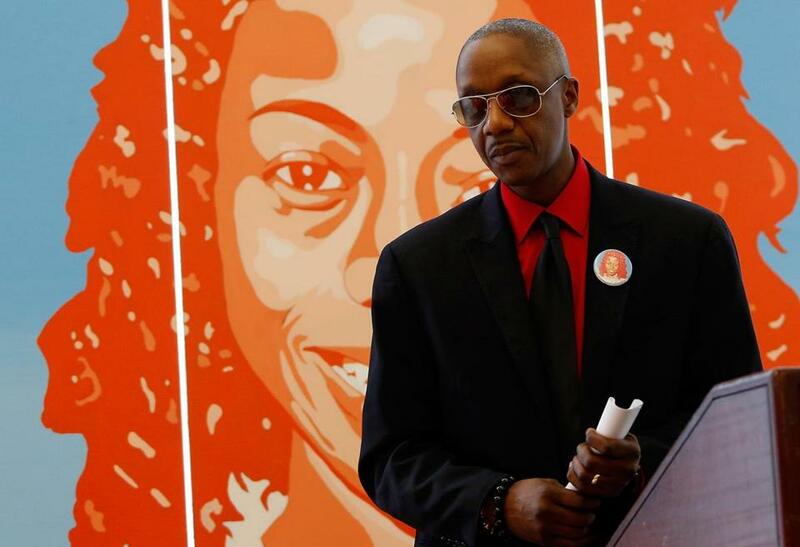 State Representative Kevin Honan said he had known Dawnn since she was a young girl through the West End House, where she went on to work as a dance instructor, coach, and mentor. During the awards ceremony, the main room in the West End House featured large handmade paintings and a three-panel mural of Dawnn’s face that showed her bright smile and energy. As the morning sun streamed through the windows, Ian Jaffier noticed that the “light of Dawnn” had brightened up the room.